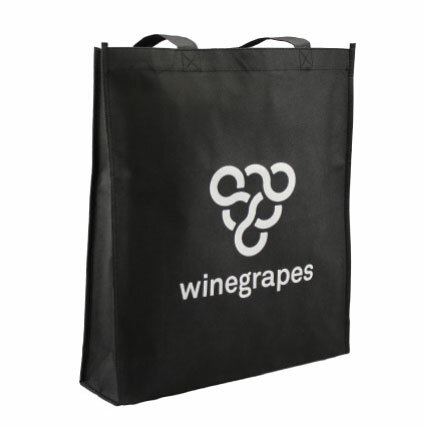 Example of our client Winegrapes Non woven Shopping Bag - one colour print. A proud Adelaide company using Seamless Merchandise non woven tote bag. Call us on 1300 961 526 or Adelaide 08 7200 3601 for specialise quote for your business.